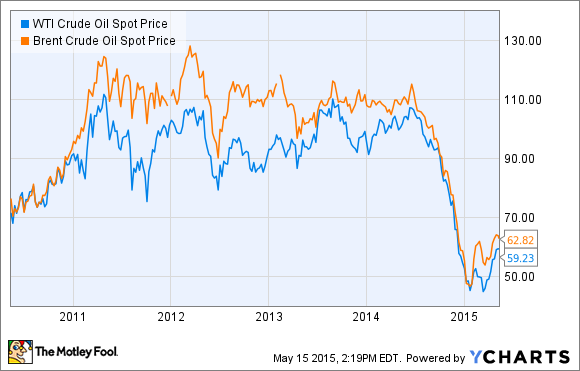 What Does Oil Tycoon Harold Hamm See in the Oil Market? Continental Resources, Inc. founder Harold Hamm made more than $10 billion on oil, which makes him a voice to heed when he speaks about the oil market. Continental Resources (NYSE:CLR) founder and CEO Harold Hamm knows a thing or two about the oil market. He has made himself more than $10 billion by finding and producing oil in the U.S. Because of his ability to turn oil into wealth, when Hamm speaks about the oil market, it is worth it for those also seeking oil-fueled riches to pay attention. Here is a summary of his latest thoughts on the oil market. We are living today in historic times as world markets are recalibrating and the pace of North American energy renaissance as demand expands to equal supply. Continental has been a leader in this renaissance. I'm pleased to tell you that we have adjusted to this new market condition and we are well-positioned for success in this environment. Hamm calls the times we are living in "historic" for the world energy market. That's because for the first time in decades, the oil market is no longer controlled by the Middle East. Instead, that control is being ripped away by North American energy producers, with Hamm's Continental Resources leading the charge. He would go on to note that his company is pushing down costs as it "adapted quickly and decisively to the new price environment"; it can now produce more oil for less money spent. Overall, the company is drilling farther, faster, cheaper, and more efficiently than ever before. It's a trend not seen just at Continental, but being furthered by most other U.S. independent oil companies. Because this trend is real and gaining momentum, the industry is pushing for change, particularly for the lifting of the U.S. oil export ban. Continental has been working hard with other industry leaders to lift the U.S. ban on crude oil exports. The current environment [of] world energy markets perfectly illustrate why this should happen, and I'm highly optimistic we'll get this done this year. Senators and Congressmen are becoming knowledgeable around this issue and the fact that the ban is a 1970s-era relic of the Nixon price control administration that directly contradicts our commitment to free-trade. Hamm and many of his industry peers, including Ryan Lance, CEO of ConocoPhillips (NYSE:COP) and Scott Sheffield, CEO of Pioneer Natural Resources (NYSE:PXD), have been very vocal in their push to have the export ban lifted. In fact, both ConocoPhillips and Pioneer Natural Resources have already found ways to skirt around the ban as Conoco has exported some of its Alaskan oil while Pioneer is exporting a minimally refined ultra-light oil. Still, all three men want a complete end to the ban because it is hindering the growth of the oil boom. It is becoming widely recognized that sufficient refinery capacity does not exist in America today to process American light sweet crude oil from shale plays such as the Bakken, and we, the producers, are subject to a steeply discounted value as a result. Success in getting the ban lifted will benefit the United States immensely in terms of energy development and security, jobs growth or trade balance, and consumer stability of gasoline prices in the future. The time has come for this change. What Hamm is suggesting is that by allowing U.S. oil companies to export oil, it would close the gap between the global oil benchmark, Brent, and the U.S. oil benchmark, WTI. That would give U.S. oil companies a bit more cash to drill more wells and produce more oil, therefore further loosening OPEC's grip and providing more stability to the oil market, and providing a boost to global energy security. Hamm is such an outspoken critic of the export ban because the only real beneficiary OPEC, which has destabilized the oil market time and gain. That's why he recently went on CNBC to say that OPEC's decision to flood the market with oil will backfire because it will be the catalyst to open up the floodgates to U.S. oil exports. Hamm pointed out that OPEC "used predatory pricing to cut the price of oil down to nothing where they think we can't make it, but I think they've almost guaranteed us an outlet to world markets." That's because U.S. oil companies have instead proved they can make it in a low oil price environment because of how rapidly costs have fallen. Now, U.S. oil producers are ready to pounce and become the leaders in the global oil market just as soon as they can export freely. Harold Hamm doesn't see the dramatic drop in oil prices over the past year being a cause for concern, but instead it marks a historic shift. U.S. oil producers proved they can change on a dime and dramatically cut their costs. Now, they're poised to unleash their own flood of oil on the market as soon as the U.S. ends its archaic export ban. Clearly, Harold Hamm is quite optimistic about the future of the U.S. oil industry.